Mintel, the world’s leading market intelligence agency, recently announced five trends set to impact the global packaging industry over the coming year. Packaging will play a pivotal role in reducing global food and product waste. Online brands will reinvigorate their packaging in order to enhance the e-commerce experience. Brands who adopt clear and succinct package messaging will be rewarded as consumers prefer brands that embrace minimalism. Brands will be called to keep marine conservation at the forefront of packaging development and to anchor the circular economy for future generations. Contemporary packaging formats will see the centre-of-store take centre stage. David Luttenberger, Global Packaging Director at Mintel, discusses the major trends set to influence the packaging sector worldwide in 2018, including implications for consumers, brands, and manufacturers. The throwaway culture of today will evolve into one that understands and embraces the role of packaging as a primary means to reduce global food and product waste. Consumers have long considered packaging as often unnecessary, and ultimately as just waste to be disposed of. But that misconception is now changing. A focus on package innovations that extend food freshness, preserve ingredient fortification, and ensure safe delivery is increasingly benefiting consumers. Brands will need to act fast by exploiting on-pack communication tools to educate consumers to the benefits packaging can bring, from extending shelf life of food to providing efficient and safe access to essential products in developed and under-served regions of the world. As more and more consumers embrace online shopping, packaging will play a pivotal role in brands’ and consumers’ e-commerce experiences. Online shopping is becoming increasingly widespread around the globe and is near ubiquitous in some markets. However, while online shopping’s key advantage is convenience, consumers expect more from their favoured brands. When designing packaging to be viewed online, and transit packaging to be opened upon delivery in the home, the experience of e-commerce packaging must reflect consumer expectations from shopping with that brand in-store. Aiming for packaging designs that enlighten consumers’ purchase decisions, brands will reject approaches that offer too much or too little as they can leave shoppers more confused than informed. Today’s consumers are more informed than ever; however, brands are in real danger of being rejected if consumers feel overloaded with information, leading to the questioning of provenance, authenticity, and transparency. The “essentialist” design principle bridges the divide between not enough and just enough of what’s essential for consumers to make an enlightened and confident purchasing decision. Brands must bring the next generation of clean label to packaging design to provide a moment of calm and clarity for shoppers in an increasingly hectic retail environment. 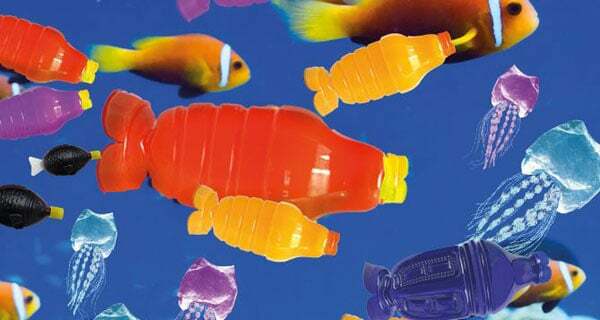 Plastic packaging adrift in the world’s oceans will become the catalyst driving brands to rethink packaging in a context consumers can understand and act upon. Concerns over safe packaging disposal will increasingly colour consumers’ perceptions of different packaging types, and impact shopper purchase decisions. Only by communicating that a brand is working towards a solution will this growing barrier to purchase be overcome. While collecting waste plastic from the sea to recycle into new packaging can raise consumer awareness, it won’t solve the problem. In order to keep plastic out of the sea, a renewed effort towards the circular economy is needed to keep packaging material in use. Brands will look to contemporary packaging formats to help reinvigorate the centre-of-store aisles less visited by younger consumers. Young shoppers are increasingly ‘shopping the periphery’, visiting the fresh and chilled aisles around the store perimeter and turning their backs on processed, ambient, and frozen offerings in the centre of the store. The use of transparent materials, contemporary design, recyclability, or unique shapes can help draw in younger consumers to the store centre, making it as appealing as the burgeoning perimeter to younger consumers. David Luttenberger, Global Packaging Director at Mintel, says: “Our packaging trends for 2018 reflect the most current and forward-looking consumer attitudes, actions, and purchasing behaviours in both global and local markets. “Such trends as those we see emerging in e-commerce packaging have stories that are just now being written. Others, such as the attack on plastics, are well into their first few chapters, but with no clear ending in sight.